Style #057: Unique domed Gibeon Meteorite Engagement Ring with beautiful Widmanstatten pattern. This elegant ring is lined in Platinum 950. 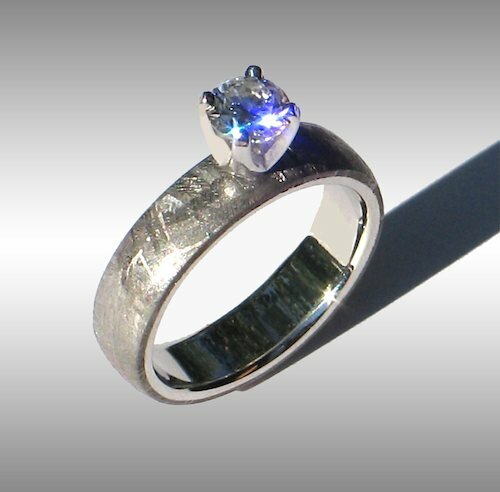 Set with a stunning 0.65 carat, H, VS2, Ideal cut diamond, this ring is shown in a size 7, and 5 mm width. When enquiring for current pricing please specify size, width, type of lining, diamond size and quality!